The emphasis on inclusive growth will be the benchmark of Turkey’s G-20 presidency, according to a prominent representative of the business world. “Making sure that the benefits of the policies go to all parts of society” is an important message that has been highlighted as well by the B-20, the platform that represents the business communities of the world’s biggest economies, according to Dr. Argüden. 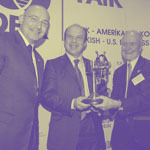 The decision to set up the World SMEs forum in Istanbul will be an important milestone for this year’s B-20, added Argüden, the chairman of ARGE Consulting, which provided policy advice on governance and sustainably matters ahead of the G-20 summit in its capacity as the knowledge partner of the B-20. Can you tell us some of the concrete achievements of this year’s B-20 summit? Governments are constrained by their borders, whereas businesses are acting beyond borders. They have at times a better understanding of the global environment. It is much better to involve those who have a broader understanding and interest for governments who come together to make decisions about the global economy. In this year’s B-20, one of the focuses was on small and medium-sized enterprises (SMEs). SMEs constitute by far the majority of the business world. The majority of employment is coming from SMEs. If we solve their problems, economic development will be better; solving large companies’ problems is not enough. Yet because they are small individually, their voices are not heard as much as bigger global corporations. This year for the first time it was decided to establish a World SME Forum (to be set in Istanbul). This decision was an important milestone for this year’s B-20. Having established an SME forum is a positive step for having some collective resources and a mechanism to represent the interest of SMEs in further G-20 discussion. The forum will raise the issues related to SMEs in a more regular format. That is one of the contributions of the Turkish presidency (of the G-20). What would be another landmark of Turkey’s presidency as far as the B-20 is concerned? The Turkish presidency has highlighted three issues for the B-20: Inclusiveness, implementation and investment. These “three I’s” are important. But I think the Turkish presidency’s focus on inclusiveness would be something we will all remember. What does inclusiveness mean? Making sure policy benefits go to all parts of society, without looking to gender, geography, race or class. Only through inclusiveness can we have a balanced world and handle political tensions as well. This requires much better governance mechanisms in policy making. We need to look at the impact analysis of policies on different segments of the population. If I have to make a decision as to how to conduct a business regulation, (I would ask) what is its impact on SMEs? What is its impact on minorities, on women, on youth? It takes a lot more effort to devise a better policy when you look at all these issues. As the U.N. 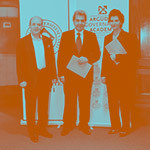 Global Compact network, we conducted surveys last year about the prioritization of sustainable development for Turkey. Some of the priorities we were able to identify were not only valid for Turkey but also for the world. One of them is women participation in labor. Another one is youth unemployment. The third is good governance, which means public engagement, evidence-based policy making and social impact analysis etc. At the government level, the focus should be on different pockets of society. Policies recommended (by the B-20) looked at these types of aspects. In addition, as the knowledge partner of the B-20 we gathered the business world’s perspective on governance and sustainability matters. We made recommendations about transparency both of the government as well as the corporate sector with regards to reporting their performance not only on financial matters but also with regards to environmental matters and the impact of their policies on human rights, labor and anti-corruption. Public engagement is also important. Governments need to cooperate with both the business world and civil society; the business world needs to cooperate with civil society, which in turn should also understand the needs of the governments and the business world and should engage and cooperate. We have (engagement groups) like the B-20, C-20, Y-20, so we are at the very early stages of this (multilateral) cooperation. Obviously the mechanisms of involvement and the quality of engagement need significant improvement. All of this is easier said than done. To what degree do you think all these policy advices will be listened to and resonate with G-20 leaders? Both intellectual development and implementation are painful processes and it takes a long time. No one should expect things will change because there was a G-20 meeting and because the B-20 made a lot of recommendations. But I am confident that every meeting, every survey and recommendation, makes a mark on people’s thinking. There is so much terrorism, so much suffering in the world. Economic wealth is not being distributed properly. Certain things need to change. How will this change come about? The idea of inclusiveness, the idea that we need to measure the impact of our decision on different constituencies and not only on current stakeholders but even on future stakeholders, is gaining momentum and these meetings are important for these ideas to further develop and further disseminate. Decision makers are so overwhelmed with current affairs, “There is a bomb here, there is a war there; I have to deal with the yuan devaluation….” Thinking about the long-term perspective generally happens not very often except at these types of meetings. Leaders can forget about it the next day, but still there is always a remnant. The G-20 is taking place at a time when tremendous political, social and economic turmoil is taking place in Turkey. Does the current situation have an impact on the meetings? When you have a stable and peaceful environment it is more fun to discuss these long-term issues and there is much more appetite to come to the country. Obviously this kind of environment has some impact on who comes to the meetings, on how much emphasis is given to the ideas that come out vs the current affairs. It would be naïve to say that they don’t have an impact, they do have an impact and that impact is not positive. Nevertheless, the Turkish presidency of the G-20 is important and it has identified appropriate areas to focus on and some movements have been accomplished in those areas. If the environment was more peaceful, I am sure it would have been more effective. For instance, if we did not have terrorism, rather than the terrorist news in the New York Times, this would have been in the New York Times. But there seems to be a discrepancy between what is being discussed and what is being done. Turkey prioritizes inclusiveness, yet the government is criticized for its authoritarian ambitions. Turkey needs a lot in that area as well. What the world needs right now as far as inclusiveness is concerned is the mentality that flourished in Anatolia in the 12th and 13th centuries. Unfortunately, we are not going towards being an all-inclusive society. Right now, there are definitely deficiencies between actions and words. Who is Dr. Yılmaz Argüden? 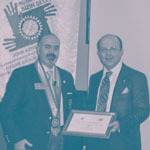 Dr. Argüden is the founder and chairman of ARGE Consulting, a management consulting firm known for value-creating strategies and institution building. 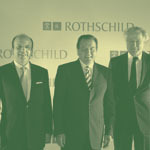 He is also the chairman of the Rothschild investment bank in Turkey. His career spans the private sector, public sector, multinational institutions, NGOs and academia. He worked at the RAND Corporation as a policy analyst (1980-85) and at the World Bank as a senior officer (1985-88). Upon his government’s invitation, he returned to Turkey where he led the Privatization Program (1988-90). He also served as the chief economic advisor to the prime minister (1991). 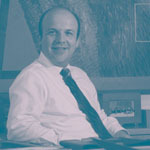 Dr. Argüden has served on the boards of more than 50 national and international corporations and was the chairman of the largest Turkish steel company, Erdemir (1997-99). He is an adjunct professor of business strategy, an author of numerous books and a columnist focusing on business and strategy issues. As the chair of the Local Networks Advisory Group, he represents the National Networks on the board of U.N. Global Compact, the world’s largest sustainability platform.